This lecture gives you an overview of online resources to start your family history research in Canada’s ten provinces. Ruth Blair is a Professional Genealogist and lecturer based in Oakville. She has been doing family history research for over 30 years. She has researched her family history from Canada to Ireland, England, Scotland, the United States, Australia and New Zealand. She has her Professional Learning Certificate for Genealogical Studies for Canada, England and Ireland from the National Institute for Genealogical Studies. As an author she has written two books. The first book was “Planning a Genealogical Trip to Ireland: The Research Trail in Dublin,” which helps the novice research traveller to prepare for their trip and gives advice on using the various repositories in Dublin. She has also written “Remembering Trafalgar Township,” a book commemorating the Township’s 200th Anniversary. Ruth is the author of “The Passionate Genealogist” blog. 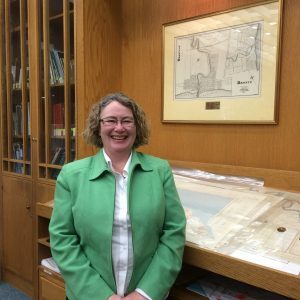 She is a member of the Association of Professional Genealogists – Ontario Chapter, the Halton Peel branch of the Ontario Genealogical Society, Manchester and Lancashire Family History Society, Genealogical Society of Ireland, Glasgow and West of Scotland Family History Society and the National Genealogical Society.